In Key West, the influences of Cuba are everywhere; from the historic landmarks, the cigar industry, to the flavors of Havana showcased in the local cuisine. Even the acclaimed Ernest Hemingway, whose Key West residence is visited by many every year, has ties to Cuba. There is an Ernest Hemingway house in Cuba as well, while most notably he drew inspiration from his time on Cuban fishing boats to write the Pulitzer prize winning Old Man and the Sea. Whether it’s Hemingway, historic landmarks, or cuisine, Cuban influence can be found wherever you look. 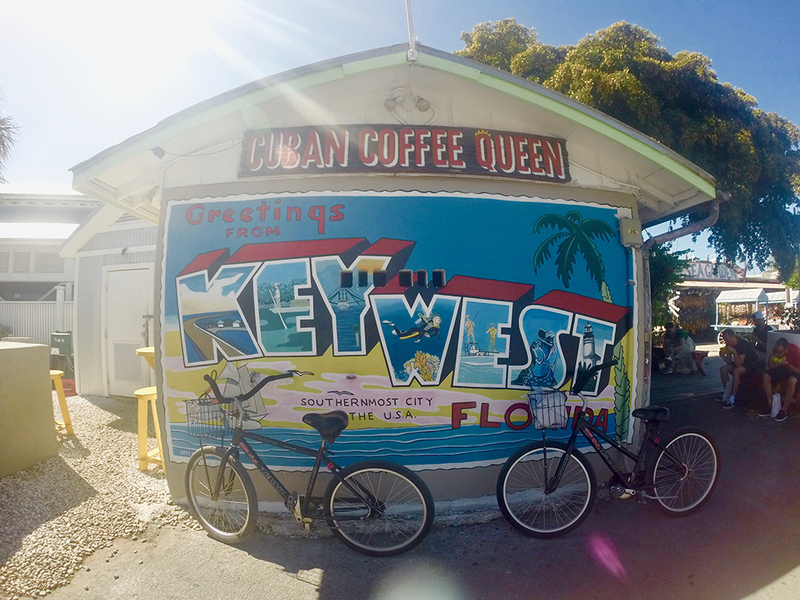 Dive into our top Cuban inspired must-sees of Key West below! The San Carlos Institute was founded in 1871 by Cubans displaced by the war in Cuba. The historic landmark as a whole represents the pivotal independence movement for Cubans as they immigrated Key West to seek refuge. Fast-forward to present day, the San Carlos Institute is a center for education and civic purposes, serving as a “museum, library, art gallery, theater, and school.” Stop by while you are in the area; their most notable exhibits include Cuba’s Pre-Philatelic Postal History, Cuba’s Commercial Aviation History, among others! Located in Mallory Square, a short walk from The Marker Resort, Cayo Huseo y Habana Historeum is a great way to immerse yourself in all things Cuba. Learn about the rich Cuban Conch heritage, or watch as Cuban cigars are hand rolled before your very eyes! The building in which the Cayo Huseo y Habana Historeum is housed was built in 1879, and now acts as a hub to share the rich Havana heritage that influenced the evolution of Key West’s culture. The Cuban Cigar industry is one of the well known components of Key West. The industry took root in Key West due to the war in Cuba, causing Cubans to immigrate to the southernmost city. With them they brought the Havana cigar business, leading to major demand. As hand rolled cigars became a vital aspect of the local economy and culture, the Cuban’s native language of Spanish becoming the unofficial second language of Key West. In the 1900’s due to labor strikes, intense hurricanes, and the economic depression the cigar industry took a hit. In recent years, cigars are still available and embody the history of Key West. The hand rolling tradition has also been handed down from one generation to the next. Stop by either the Key West Cigar Factory or Rodriguez Cigar Factory for Cuban cigars! As we’ve mentioned before, we are huge Cuban coffee fans. Afterall, our resort is conveniently located steps away from the beloved Cuban Coffee Queen, allowing our guests to get their caffeine fix. Some of our other favorite spots for Cuban coffee include Sandy’s Cafe, an eatery so small that you may just miss it if you don’t keep an eye out! 5 Brothers is another Cuban coffee crowd favorite, one that we have even featured on our Instagram! We recommend their cuban toast, it’s a affordable and delicious treat any time of the day. Cuban food became largely popular during the 1860s, as Cubans brought a range of spices that were not available in most Key West. Non-Cubans and restaurants began to adapt this new flavor profile, which now is infused with most of the Key West food you find today. El Meson de Pepe’s is a family owned restaurant that embraces Cuban flavors and dishes across their menu. The restaurant has been serving locals and tourists alike for over 30 years! For incredible Cuban food on a budget, look no further than El Siboney Restaurant in Old Town Key West. Operating since 1984, the name “Siboney” comes from the town in Cuba east of Santiago de Cuba and tied to the beginning of the Cuban Revolution.